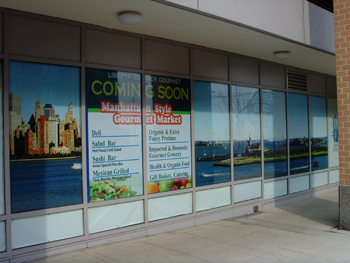 The south east corner retail space in Liberty Towers will eventually have a “Manhattan” style deli, as first noted in July. There will probably be some high end grocery items as well as prepared foods, like most Manhattan style delis. Of course, unlike New York delis, there will be no beer in the cold drinks section, since selling groceries and beer side by side is illegal in New Jersey.